Soft and flexible flat ladies shoes with a flexible moulded rubber sole & 3.5cm heel. Feature cut out heart detailing & beige contrast stitching. Leather suede upper, leather lined and leather insole. 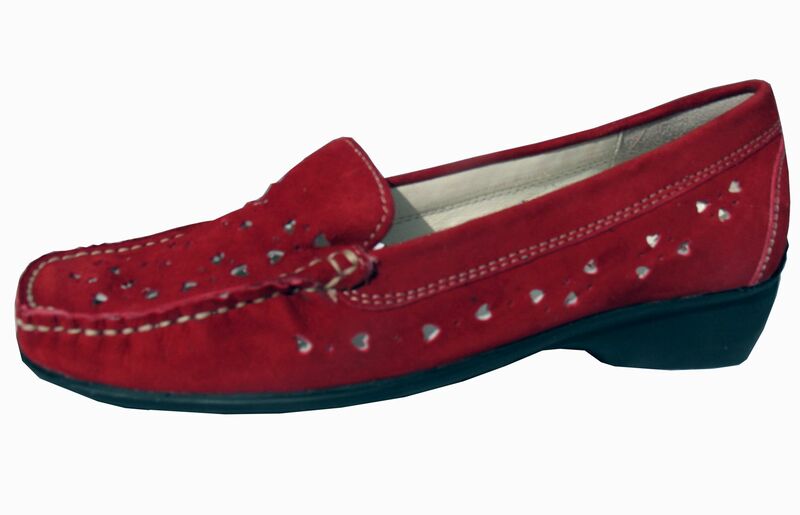 The ladies loafers are also available in green, beige & brown.